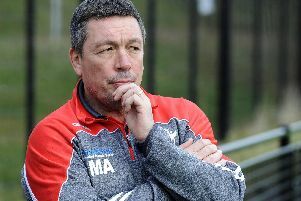 Sheffield Eagles will be looking to use their current momentum to ensure they don’t let Sunday’s opponents Featherstone Rovers off the hook, this time around. Mark Aston’s side are back in action for the Challenge Cup (3pm), and are one of the Championship’s form sides after four wins from five. They take on Rovers who sit third, with eight wins from 11, which includes an earlier success against the Eagles after 22-47 victory in March. Despite running away with the contest in the second half, Aston’s side were very much in the fight against their high-flying counterparts, with the Eagles chief calling on his side to not take their foot off the accelerator this time around. “We have a couple of big games coming up” Aston said. Featherstone is the first and this is a massive challenge for us because when we played them at Wakefield we had them on the rack but they then got away from us. We are not kidding ourselves. Eagles will again be coming up against a raft of former favourites, which includes Aston’s own son, Cory, who left Eagles to join Leeds Rhinos during the close season. Now with Featherstone on a loan deal, he’s set to come up against his father for the first time. Rovers could also include ex-Eagles Misi Taulapapa, Scott Turner, Keal Carlile, John Davies and Michael Knowles, who were all in action as the Flat Cappers advanced to round six of the Challenge Cup with victory over Oldham last weekend.